Perry has been involved in the real estate industry since 1983. 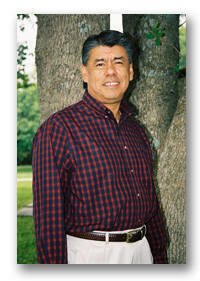 He attended Southwest Texas State University and received his real estate Broker's license in 1985. Originating Endways Property Management, Inc. in 1985, he combined real estate brokerage and property management simultaneously. Actively involved in the Four Rivers Board of Realtors, he has knowledge of our local area and the needs of buyers and sellers. Perry is a member of the Austin MLS as well as Central Texas MLS servicing San Marcos, Seguin and New Braunfels. 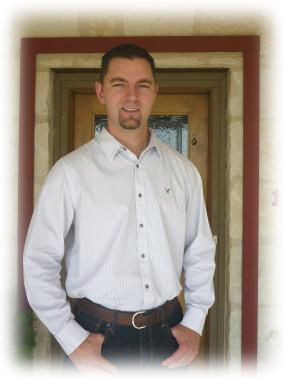 As a resident of northern Hays County, he has vast knowledge of that area and available properties. His expertise in Buyer Brokerage invites you to call him for this specialized service! He specializes in researching the 'right' property for you, mortgage counseling, and preparing and finalizing all contract documents. David has been involved in the real estate business since 1984. David and his wife, Delia, have lived in San Marcos all their life, and are actively involved with the San Marcos School District. David has been president of the San Marcos High School Baseball Booster Club for the last five years. He also is involved with the St. John's Catholic Church. David is the person that all seek in our office to problem solve or answer questions. He is the agent that will walk a vacant lot or acreage with you, discuss mortgage options, and assist you in every step of the buying or selling process. His dedication to servicing your real estate needs in the most competent manner helps to ensure a comfort level comparable to none other for any Buyer or Seller! Se hablo español. Daniel grew up on Cajac Creek Ranch in Kimble County and graduated from Junction High School in 1998. From there he attended Texas State University and graduated with a bachelor’s degree in 2002. 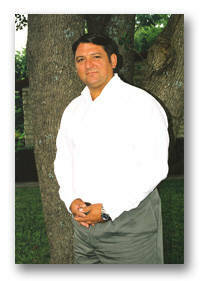 He also received his Real Estate Salesperson License from the Texas Real Estate Commission in 2002. Daniel began his real estate career working with Endsley & Associates Real Estate Inc. The years following were key in gaining valuable knowledge and contacts in the Austin/San Antonio real estate markets. Presently, he operates Kimble County Realty, in Junction, Texas. Being part of the fourth generation of the Henderson Family, dating back to 1905, his family roots run deep within Kimble County.